The Garrard 401 is the culmination of half a century of experience in the design and manufacture of high quality record playing equipment and has the elegant appearance characteristic of the best British engineering products. The superlative performance of this model is achieved by such features as a heavy, balanced turntable with a robust, super finished spindle and a sturdy intermediate driving wheel. Each speed can be set precisely by means of a special eddy current braking system and stroboscopic markings on the turntable illuminated by a high-intensity neon lamp. 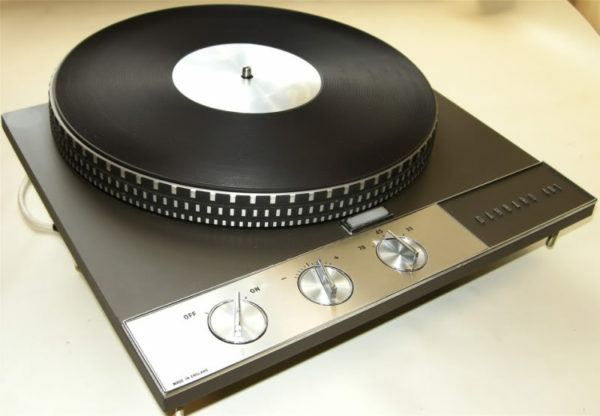 Every model 401 is supplied complete with a set of fixing screws, an adaptor for playing records with 38mm centre holes, lubricating oil, a mounting template, an individual test report and full instructions.